Looking for a mobile data collection app to capture photos, signatures, locations, bar codes and more? 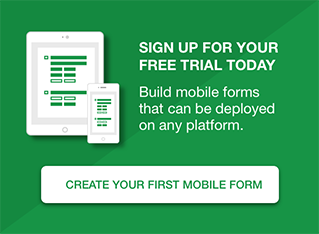 Check out what Formotus mobile forms can do. 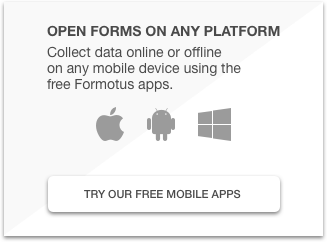 Unlike browser-based forms, Formotus mobile forms can capture rich data directly from device sensors such as camera, touchscreen, and GPS hardware. Formotus has created Formotus InfoPath custom controls (free download here), which are ready-made form parts you can insert into your own forms. When deployed from the Formotus cloud console, these custom controls will even work across platforms on iOS, Android and Windows devices. Below are some of our most popular controls, with more rolling out all the time. Tap the camera button in your form to open your mobile device’s camera app. Snap a photo and it shows up right in your form, ready for emailing or submitting to SharePoint. Tap the ink button in your mobile form to open an ink canvas. Use this Formotus InfoPath custom control with the signature line to capture signatures, or customize the background for specialized diagramming. This Formotus InfoPath custom control lets you either diagram on a background image or on a photo you snapped into your form. Color and thickness settings let you use the ink you need. Prove you were there. Record the current latitude and longitude in your form using GPS or other available methods. You can also pop up a handy map of the coordinates. Show where you were. Capture the current location and a map of that location in your form. A submitted PDF file, for example, will then include a map showing the location.